Q: What was it like to be featured on "Building Alaska"? Being on "Building Alaska" was a great time. It was really a chain of coincidences that got us involved but I'm so happy we did it. The build turned out great even with the struggles of building in the middle of the Alaskan wilderness. Me and several members of the film crew and production company still stay in contact as good friends. It was both incredibly challenging and rewarding. The best part was no cell phone reception, it made it to where I had a rare chance to do nothing but build. We actually just finished filming for another show for the DIY Network called Building off the Grid. So keep an eye out for the Intella Homes guys on that for an even more remote cabin built in just a week! Q: Do you have a motto or inspiring quote you live by? Q: Are there any exciting projects (past, present, or future) you would like to share? 2014: The second home that Intella Homes built was the highest energy rated [home] in the state for the year and earned us the State of Alaska Builder of the Year award. That was our first major recognition and it was very early on. 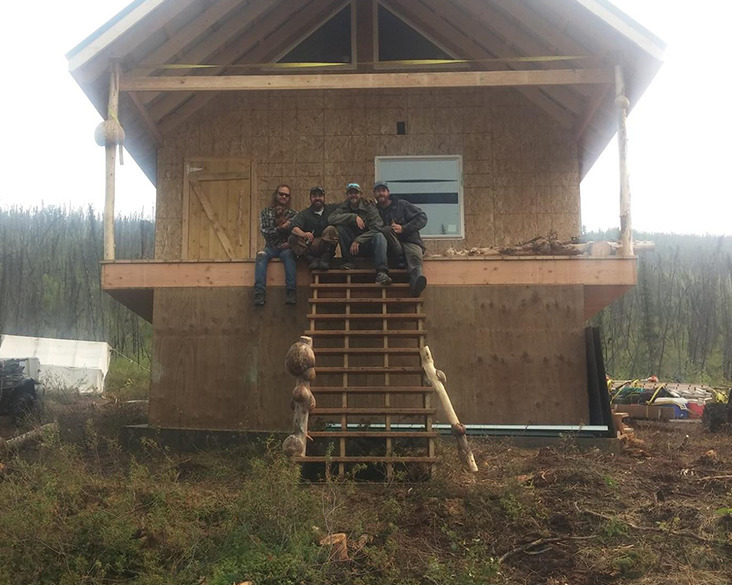 2015: This was the summer we actually built the cabin for Building Alaska. It was an amazing experience and I'll never forget when all my guys lived together in the woods for almost a month. 2016: Favorite homes, both featured MR Direct sinks and one wasn't started until snow was already almost falling at the end of 2015. We loved both of these builds. 2017 and 2018 will be full of great new houses so it's hard to pick my favorites already! Q: What are three words that describe your work? Q: What are you looking forward to most in the next year (personally or for your business)? Intella Homes is looking forward to our local Air Force base receiving one of the first new squadrons for the military's new F-35 fighter jet. This will bring a lot of growth to our community as well as a need for a lot of housing. Intella Homes looks forward to being part of the growth by building quality houses for the place we call home. Q: Who is your go-to band or artist? Dierks Bentley, Machine Head, Fall Out Boy, Jack Johnson and many more. My music is literally all over the place. I grew up as a band kid and play multiple instruments. Q: What is a food/beverage you can't live without? Ribeye Steak or a good IPA. For more information, updates, and pictures from Intella Homes, check out their Facebook page.